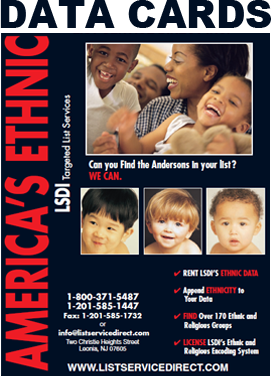 Demographic Appending Services: Using our compiled consumer database we can append hundreds of demographic data points to your database. 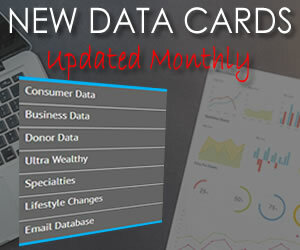 This compiled consumer database is a multi-source database which includes multiple sources.Popular Consumer Appends include: Age, Date of Birth, Homeowner, Home Value, Marital Status, Presence of Children , Income, Net Worth, Automotive Data, Mortgage Data and Real Property Data. Popular Business Appends Include: Phone, Contact Name & Title, Sales Volume, Employee Size, SIC Code, and NAICS Code.